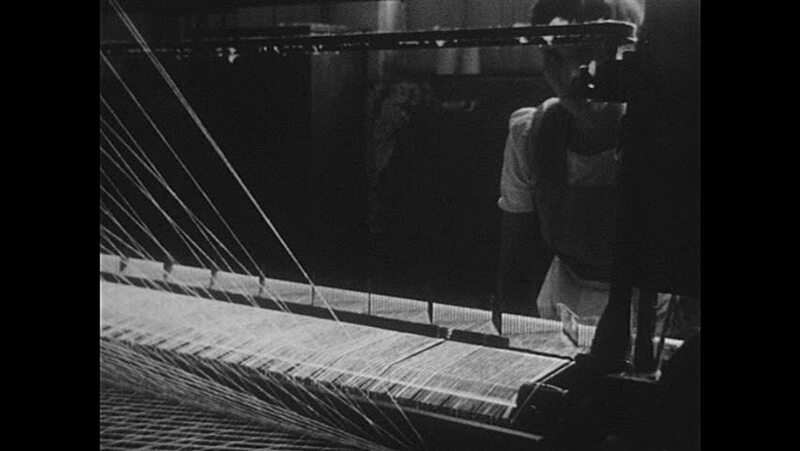 1940s: Woman works on industrial weave. Woman working weave in factory. Finished material from weave. Woman working. Material with company logo on it. People on factory floor of cotton mill. hd00:36CIRCA 1943 - An animated map shows the Japanese Army's plans to conquer Midway and the Dutch Harbor.